This entry was posted in Desserts, Diet and tagged comfort food, Fast Desserts, food, Fruit Desserts, Mascarpone con miele, Mascarpone Dessert, Mascarpone with honey, nectarines, Pesche con Mascarpone, Recipe, rhomboid muscle strain, Summer seasonal dessert, Whipped Mascarpone and Nectarines, working out by Balanced Modern Mom. Bookmark the permalink. Wonderful advice, I will take up on walking and then potentially also some biking, well I already do that considering that I bike 15 min to work everyday and then back so a total if 30 min. Thanks so much for your support and for following mythineats. It is…..I hope you try and like it. I hope that you are able to try this recipe out because it really is just so delicious. Thanks so much for your kind words and the support. Mmmm… This looks perfect for the summer! 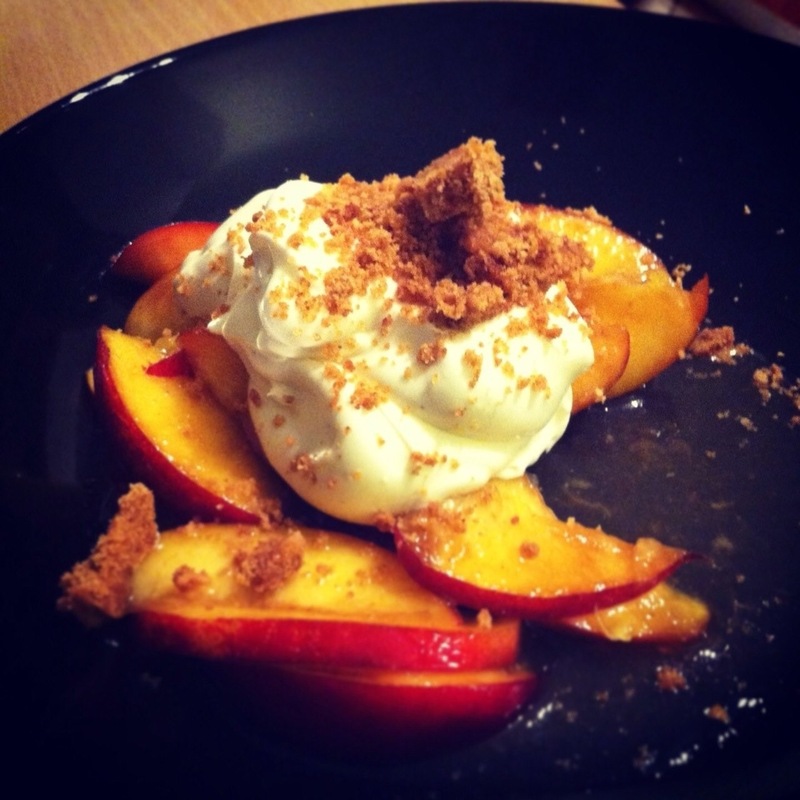 So simple, yet so tasty looking, I’ll get nectarines this week-end with the mascarpone, I already know it will be good!! Take care and don’t get down, listen to your body and you’ll be fine. Yeah I guess that taking a break and focusing on other things is actually a good thing. Try it out and let me know how you like it. Love you and miss you! Sorry to hear about your injury; I know how much of a pain (no pun intended) it can be to have to stop working out. But it is for the best, I’m sure. The nectarines look delicious, too! Well thank you. It has been hard but I’m sure I’ll be fine soon.